Perhaps you already have access to an existing presentation platform—such as one of the national initiatives created for the USDA or Health and Human Services departments—and now want to personalize that information with your own local data and images. That’s a great idea, but doing it the right way is important. This tutorial walks through the necessary steps. We’ll use the HHS Workplace platform as an example. That approach certainly is possible but could cause problems in the long run. We recommend not changing the original platform’s files at all. The reason is because we occasionally update the master platform files, and subsequently recommend you download and install the new version. Installing the new version overwrites all those old platform files, and that means if you made a bunch of modifications along the way, those personalizations will be lost with each new version installation. 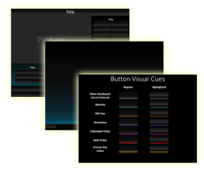 We include this button in all major multi-presenter platforms as a way of giving you convenient and fast access to as many personalized slide shows as may be needed. It links directly to your customized dashboard, which in turn links to your locally relevant content. Let’s get that structure in place. 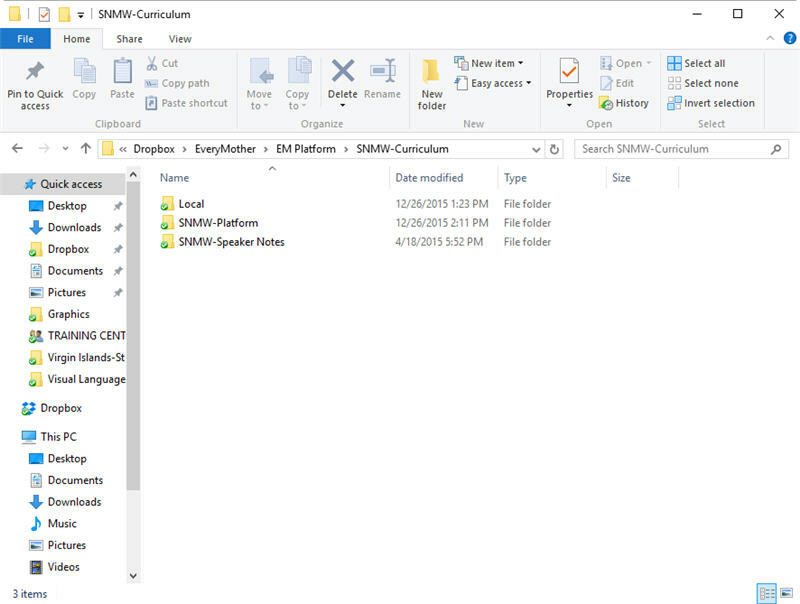 Go to the folder containing your platform materials. Again, the example being showcased here is for the HHS Workplace platform, but all platforms we make have the same basic structure and should have a similar look. 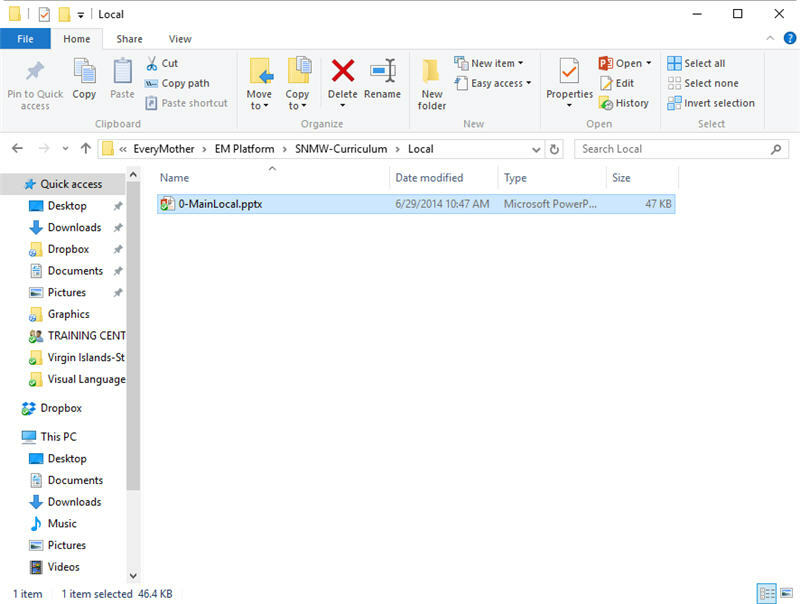 The original folder that was downloaded and unzipped has the name SNMW Curriculum in this case. 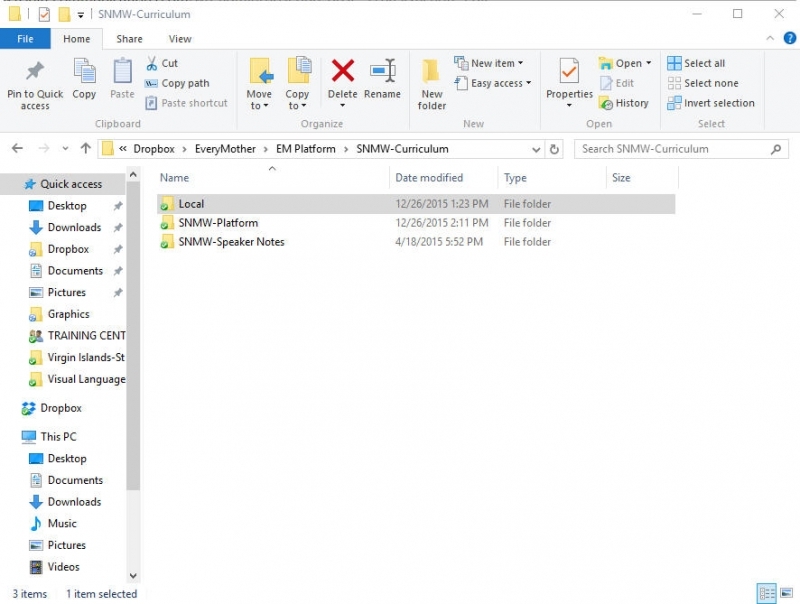 If I double-click to open that folder, we see three additional folders inside called Local, SNMW-Platform and SNMW-Speaker Notes. By the way, if you are going through this tutorial as a way of learning how to customize a platform built by an organization other than Aspire, you probably won’t see the same structure shown in screenshots here, but creating a similar structure for your platform is easy enough. Just follow along and make the same elements for yourself. 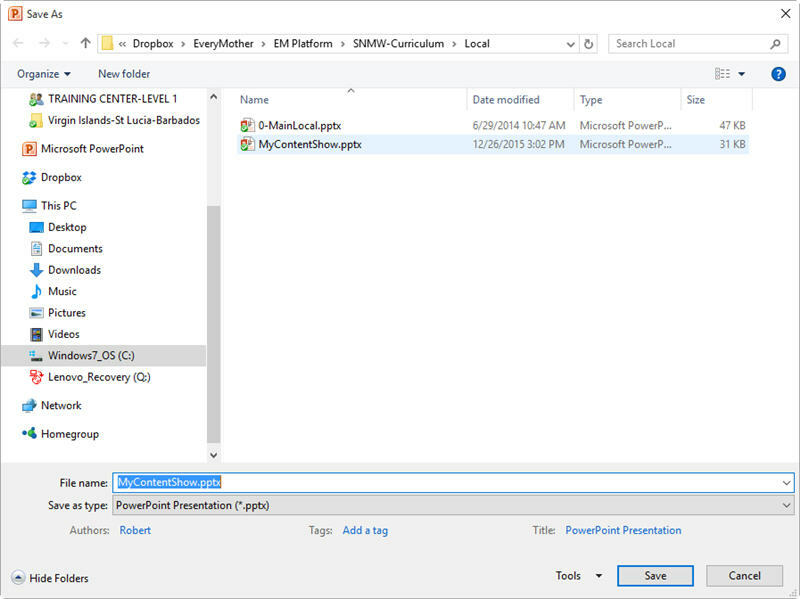 Normally when preparing to use this platform for a presentation or training, you would open the SNMW-Platform folder and then open its main dashboard show, right? Here, though, we want to focus on that other folder called Local. Maybe you’ve wondered what that folder is doing there? 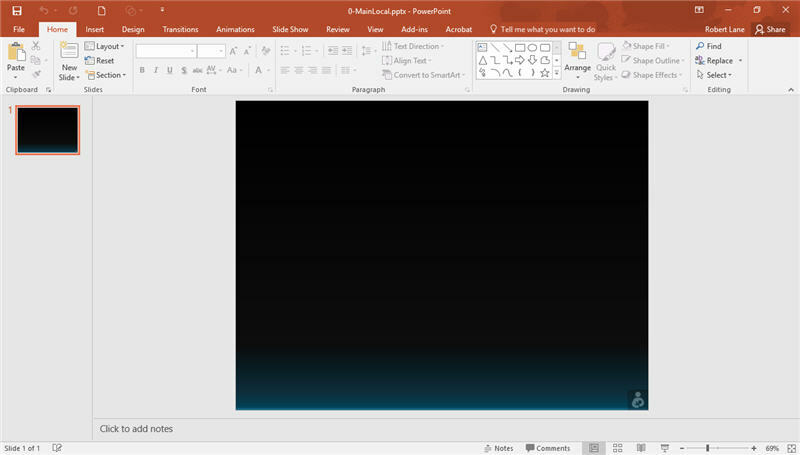 Opening the Local folder reveals a single PowerPoint slide show called 0-MainLocal. You’ll customize this show by adding links to local content shows—and all those local shows should reside inside this Local folder. Notice that if I open the platform’s Main show and look at the hyperlink associated with the Local button there, the link is already pointing to the 0-MainLocal show, located in the Local folder. You don’t have to do anything to this link. It’s already set. Just know that when you click this link while presenting, it opens the MainLocal show you are about to customize. Accessing personalized content is as easy as jumping out to your personal dashboard, opening a desired piece of content, returning to your dashboard, and eventually returning again to the main platform’s dashboards. Open the 0-MainLocal show (or add a show like it if not already a part of your platform’s structure). It’s a normal PowerPoint slide show with only a single slide and a little background coloring added. This show’s sole purpose is that of dashboard, allowing you to jump out to a needed content show. The process you’ll complete from here is pretty straight forward. First make a content show and save it inside your Local folder with a meaningful name. That name can be anything you want. 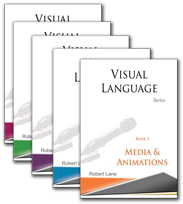 Then, back in your 0-MainLocal show, add a hyperlink to that new content show using a PowerPoint shape or image thumbnail for the link’s source. 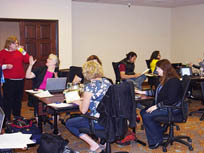 (See Aspire’s other two free tutorials for tips about creating navigation sources.) This hyperlink is “external,” meaning it points outside of our currently open slide show. 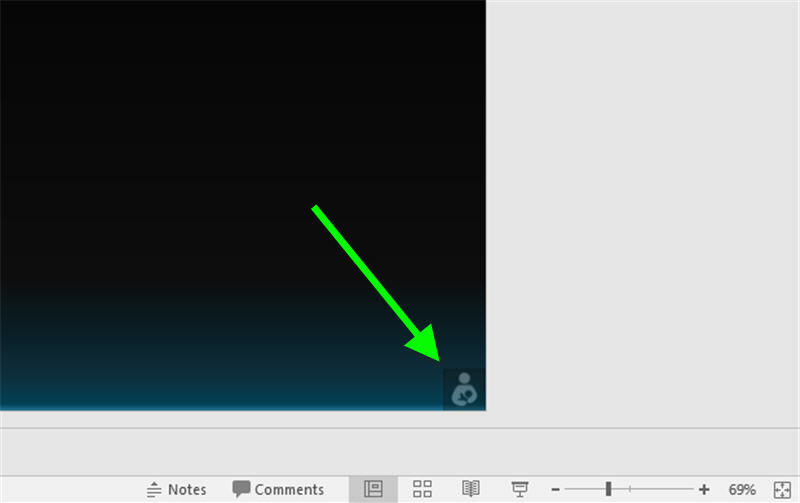 Therefore, right click the shape or image thumbnail you just added to your personal dashboard and choose Hyperlink from the menu. 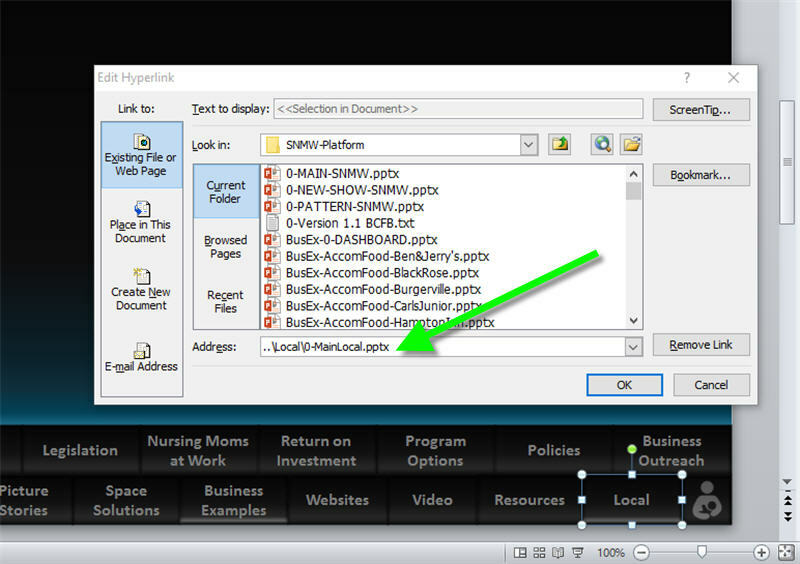 Then, make sure you have the Existing file or webpage tab active rather than the Place in this document tab. If so, you should see the name of the content show added a moment ago. Click that show’s name to select it and lastly click OK to complete the link. At this point, you can start the slide show for the 0-MainLocal show and click its link to open the content show and see its slides. The only problem is, we still need a graceful way of getting back from this content show to the dashboard. Accordingly, this content show—and all future content shows, for that matter—should feature a back button on every slide. 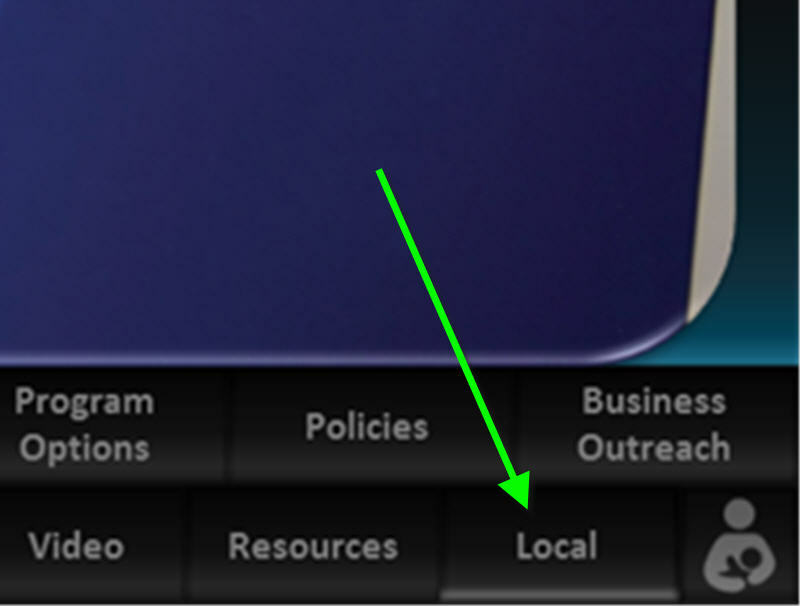 Notice that your 0-MainLocal dashboard show already has a back button in it’s lower right corner. 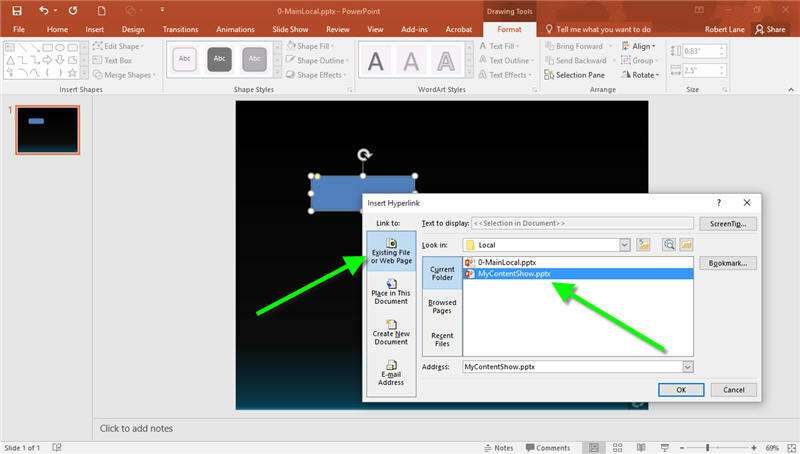 You can copy that button and paste onto all slides in your personalized content shows. That should do the trick. Be sure to not change the name of your 0-MainLocal show, or the Local folder, and don’t move this material to somewhere else on your computer. Doing so will break the hyperlink from the platform to your dashboard. Or, if you do want different names, be sure to redo the platform’s Local hyperlink.